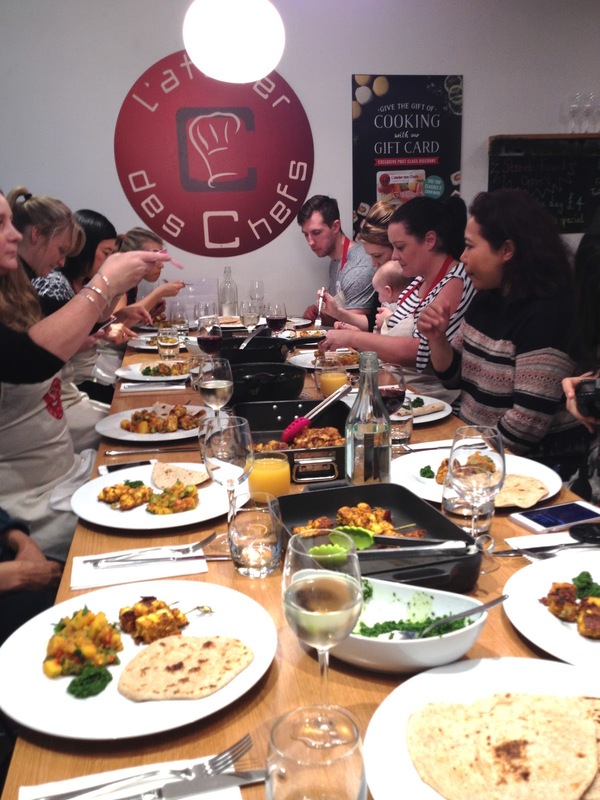 The event started with a welcome from the team, meeting our lovely chef Dahlia as well as the other bloggers and an introduction about the Tefal range. 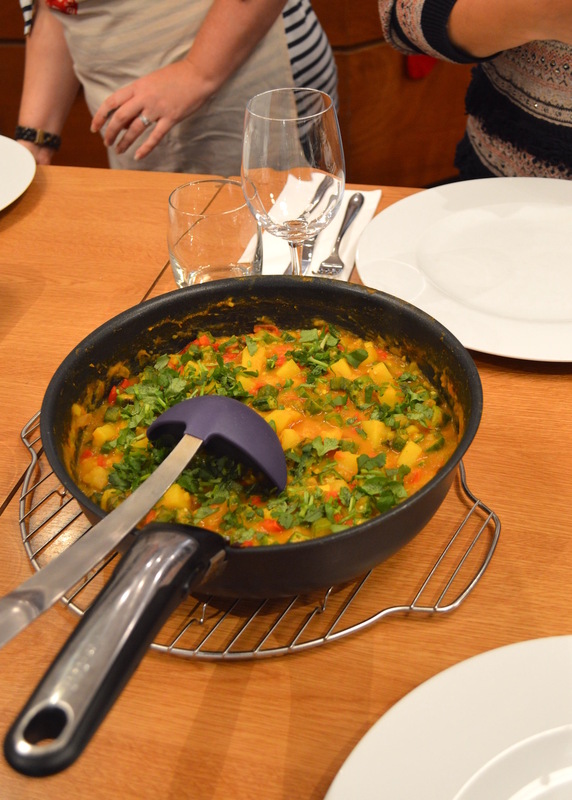 Dahlia gave us some information on the correct chopping methods, reasons for using certain ingredients when making an Indian dish and tips for creating the perfect taste. We got stuck in and began with the food preparation. It was really nice working in a team with each of us chopping, slicing, dicing and pealing something different. The aim was to make tandoori marinated chicken skewers or fried paneer for vegetarians, okra and potato curry, coriander chutney and roti. I have made roti and potato curry in the past but the coriander chutney was new to me as was cooking with okra. Whenever I'm in India I eat okra yet don't think I have ever bought it from a UK supermarket. I love the taste and it's definitely something I will try from now on. Once we had the ingredients the cooking began and we all took it in turns to stir, marinate, fry and cook our food. 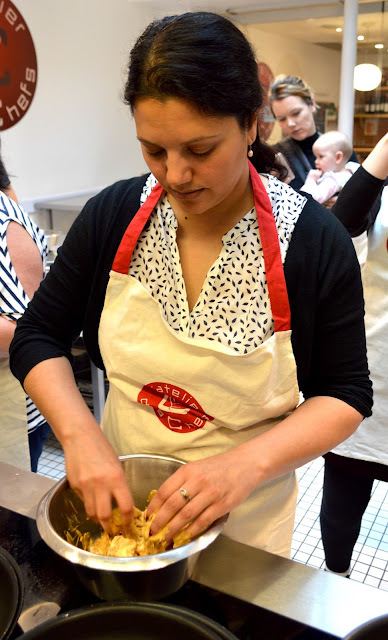 Throughout the class we used the Tefal Ingenio range of pans and appliances. Tefal is famous for it's amazing non-stick cookware and offers products designed for simplifying everyday kitchen tasks. The pans have detachable handles and are therefore suitable for the oven! This makes the job of transferring food from the hob into the oven so much easier and quicker! They also fit into the fridge or the smallest storage space! 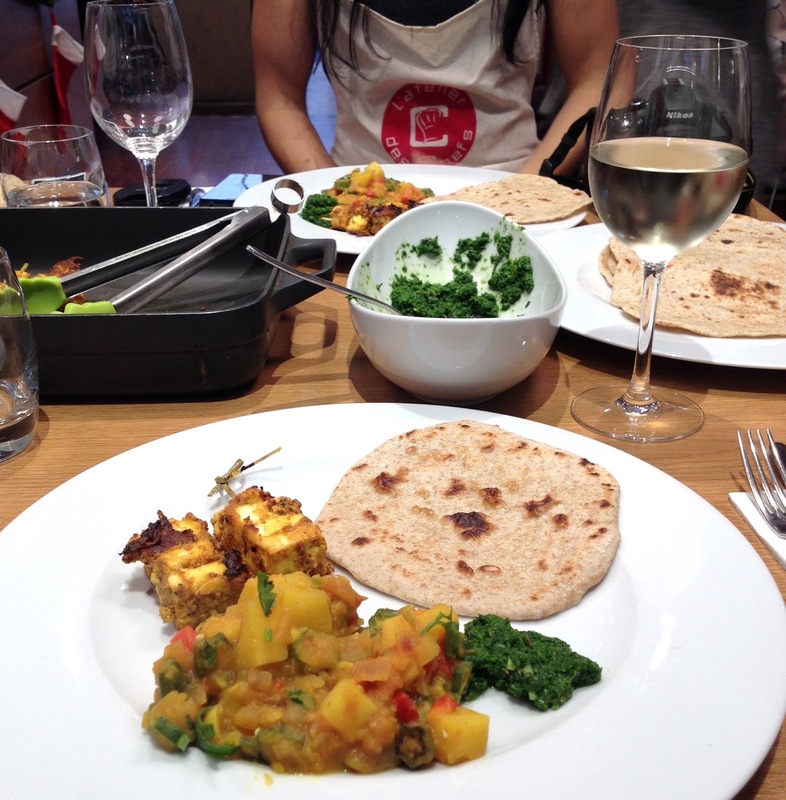 It was great to experience cooking with the Tefal range and I was surprised by how quickly we made the meal. We all finished with a sit down lunch, enjoying what we had just created. 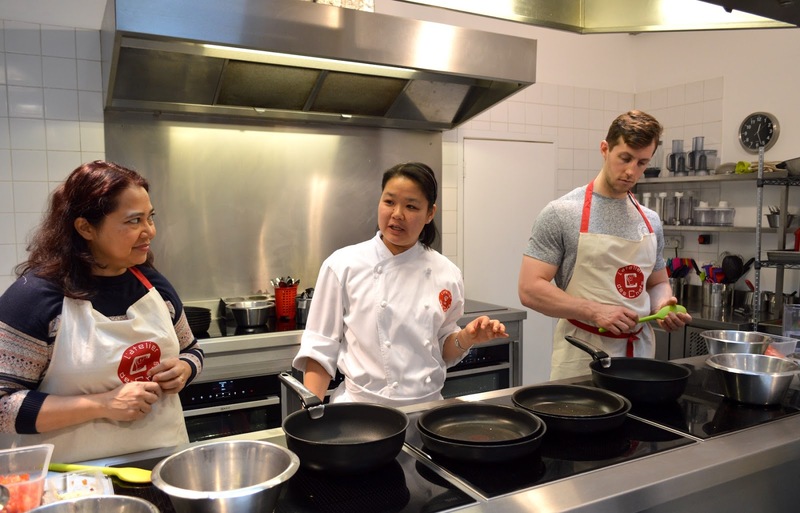 Thanks to Tefal & L'atelier des Chefs for providing a lot of inspiration into preparing & cooking in different ways. I will definitely be trying out new methods from now on! This is a collaborative post with Tefal. All words, opinions and photographs are my own. 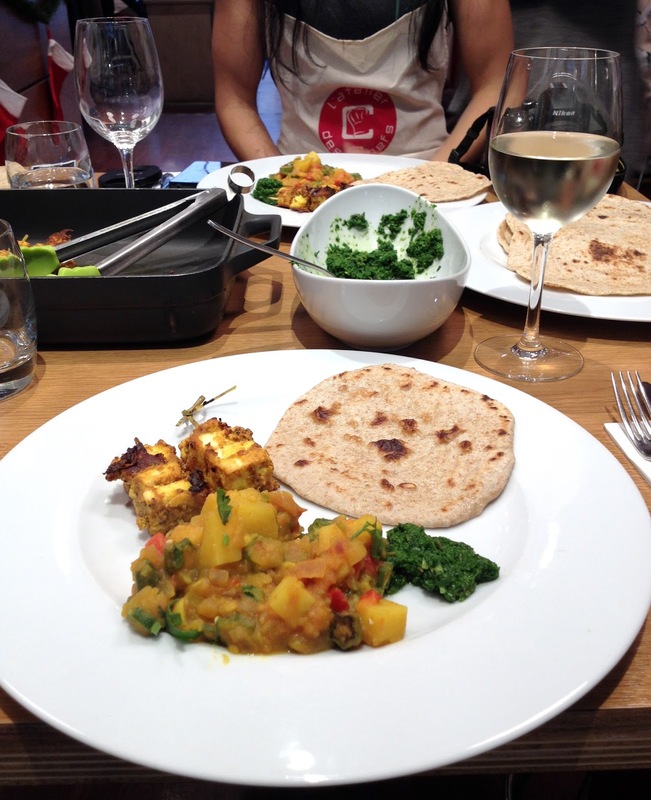 Do you make home-made Indian food? What are your cooking tips? I think it's great that you got invited to a cooking class as a blogger. 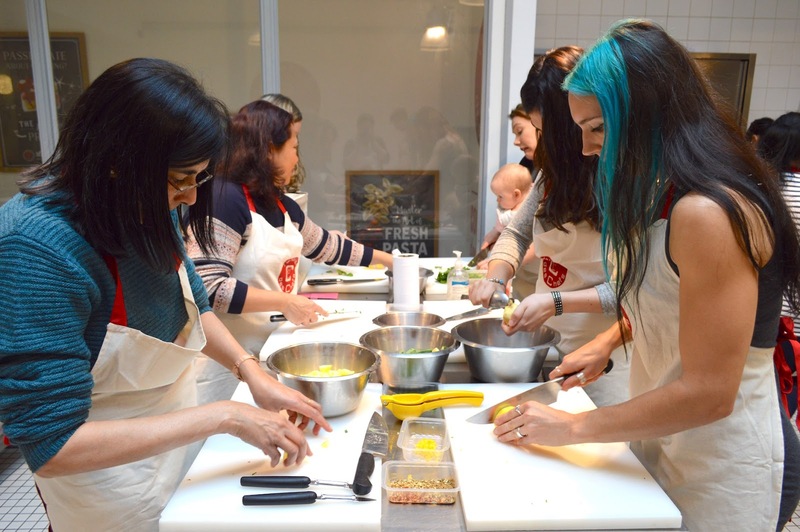 I don't really cook and had never really been interested in attending any cooking class before but as I grow older, I'd love to try a cooking class or two when I travel to foreign destinations. I think the experience, knowledge and recipe would be a nice "souvenir" to bring home to and to share with your family & friends. Great blog and I love what you have to say and I think I will tweet this out to my friends so they can check it out as well. I like what you have to say great post. Keep blogging the good stuff.